Bahraini women make up around 83 per cent of the country's unemployed, according to new statistics presented by the labour minister. Labour Minister Jameel Humaidan yesterday admitted employing women had been a challenge, despite 65 per cent of private sector jobs catering to them, said the report in the Gulf Daily News (GDN), our sister publication. He pledged to find a long-term solution to the crisis during a press conference following yesterday's Cabinet session, which was chaired by His Royal Highness Prime Minister Prince Khalifa bin Salman Al Khalifa, at Gudaibiya Palace. He presented the Cabinet with unemployment indicators for the third quarter of this year, which dropped from 4.7 per cent in the second quarter to 4.4 per cent. The report shows statistics for July, August and September with the latter being the best monthly rate at 4.3 per cent. There are 188,724 government and private sector employees in Bahrain and 8,595 unemployed Bahrainis, according to the Central Informatics Organisation's statistics. "Out of the unemployed, 83 per cent are females despite the private sector asking for females as 65 per cent of the jobs on offer being oriented for them. "Yes, we have managed to drop the unemployment rate from the second quarter by 0.3 per cent, but the challenge is to get females to accept jobs. We are looking for long-term solutions for that including the possibility of improving the quality of what is being offered to them." Humaidan said an average of 1,655 Bahrainis were employed in the third quarter of the year, with 1,944 being hired in September. 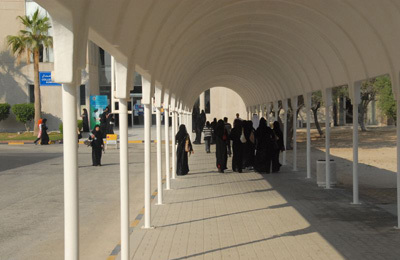 He added 13,111 Bahrainis were trained by the ministry by the end of September, compared to 10,980 Bahrainis in June. He also revealed that the number of beneficiaries from the monthly unemployment allowance dropped from 5,972 in June to 4,976 in September. "We have formed a special committee to study cases of those benefiting and whether they were interested to find jobs or just trying to get the allowance," he said. Meanwhile, Humaidan said 98 per cent of those dismissed from their jobs during the unrest in 2011 have been reinstated. "The issue has been closed, but the International Labour Organisation (ILO) still considers it valid and that's mainly because there are three separate bodies that look into the case differently," he said.